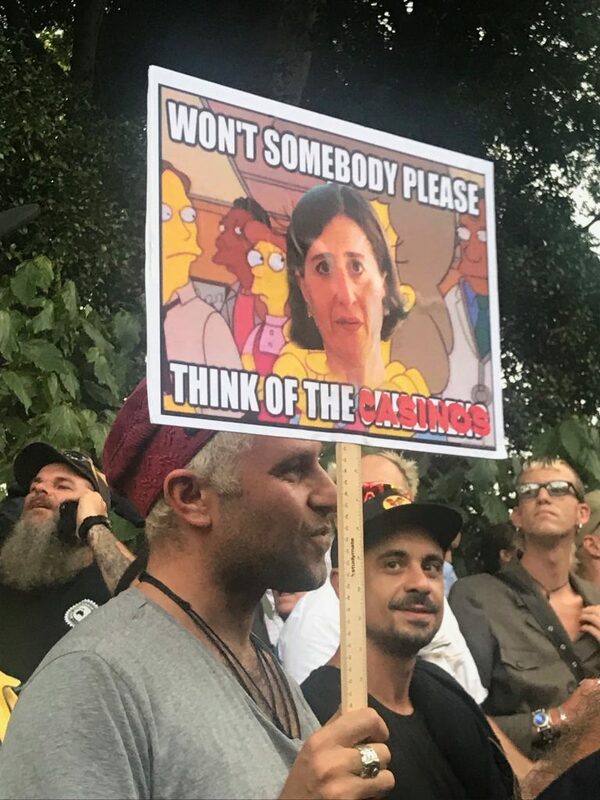 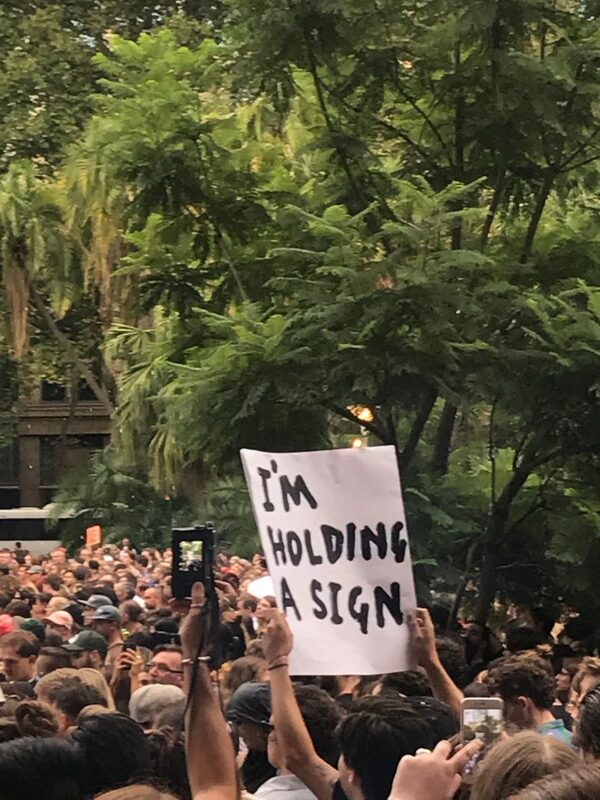 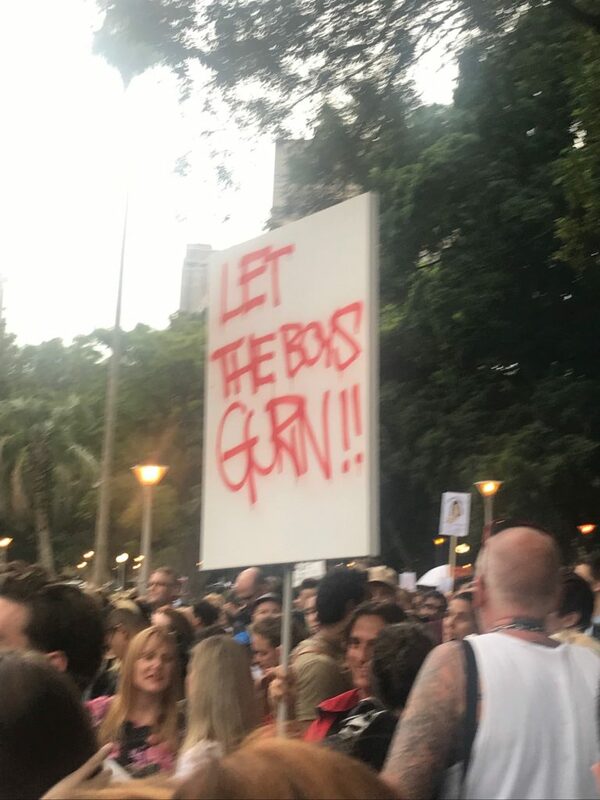 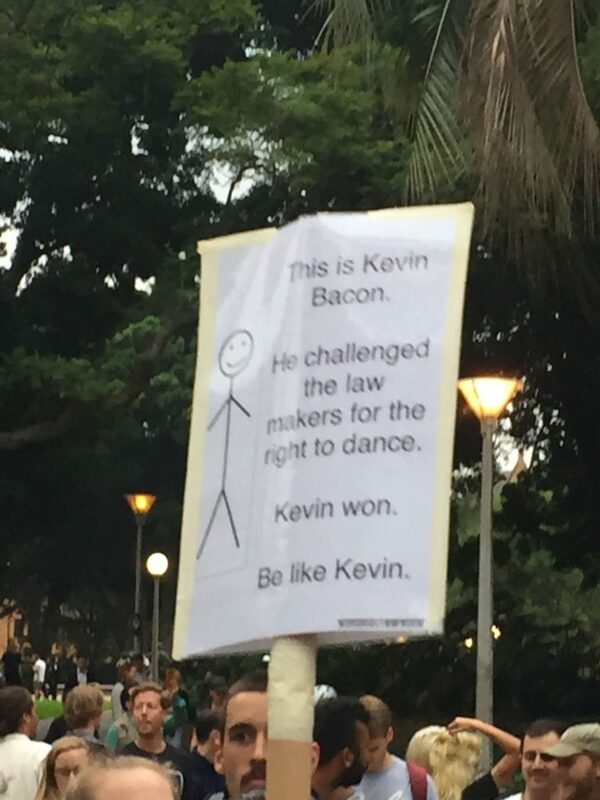 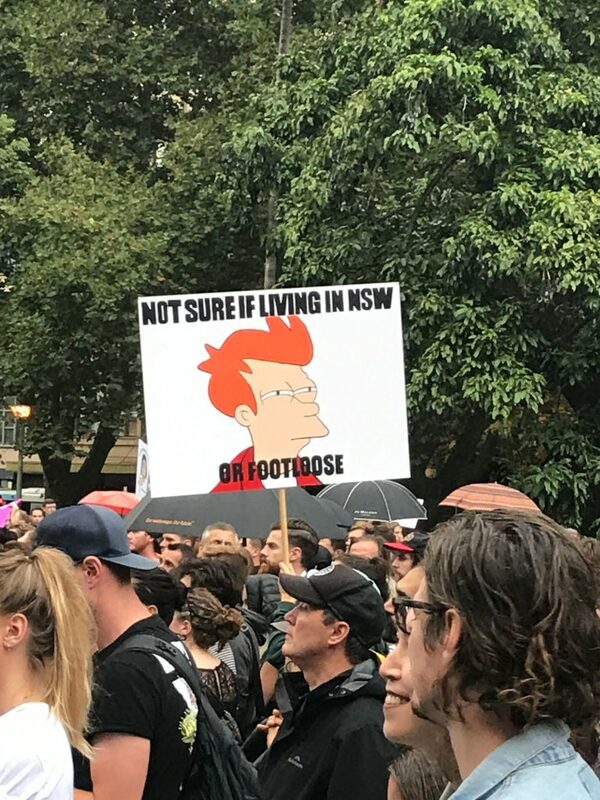 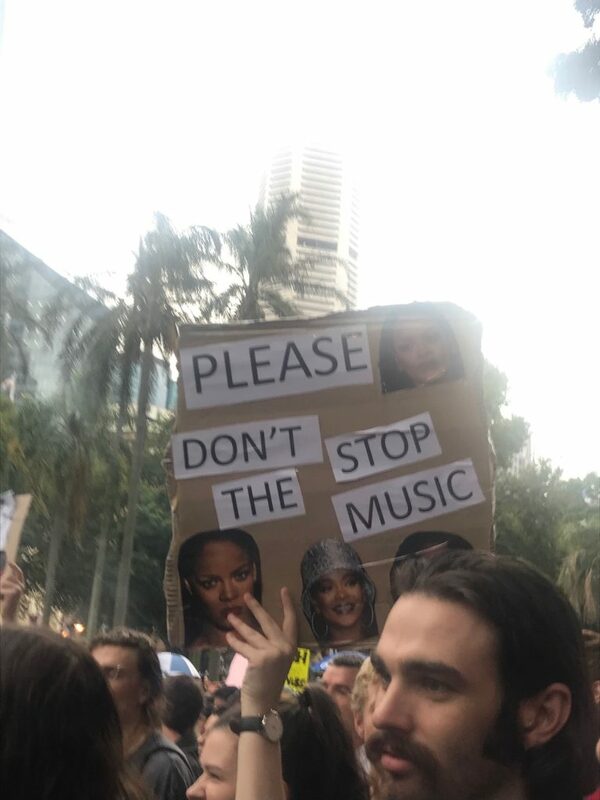 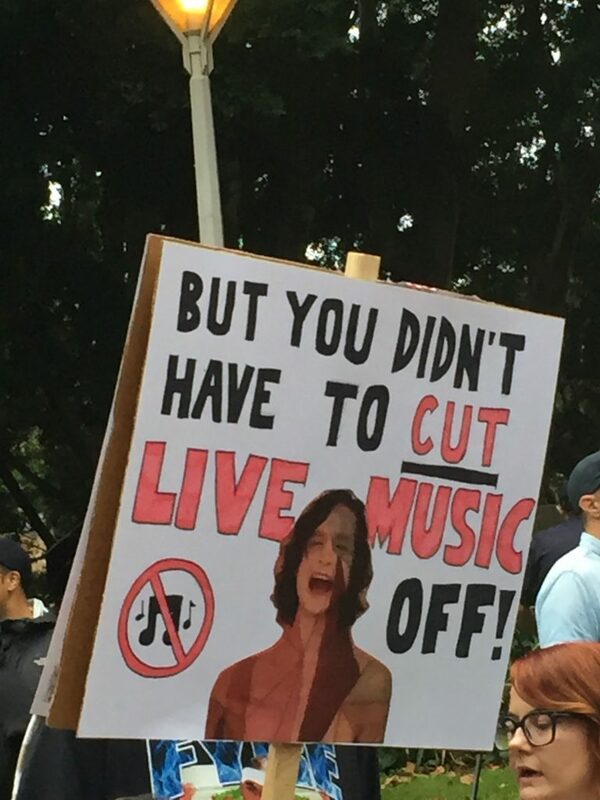 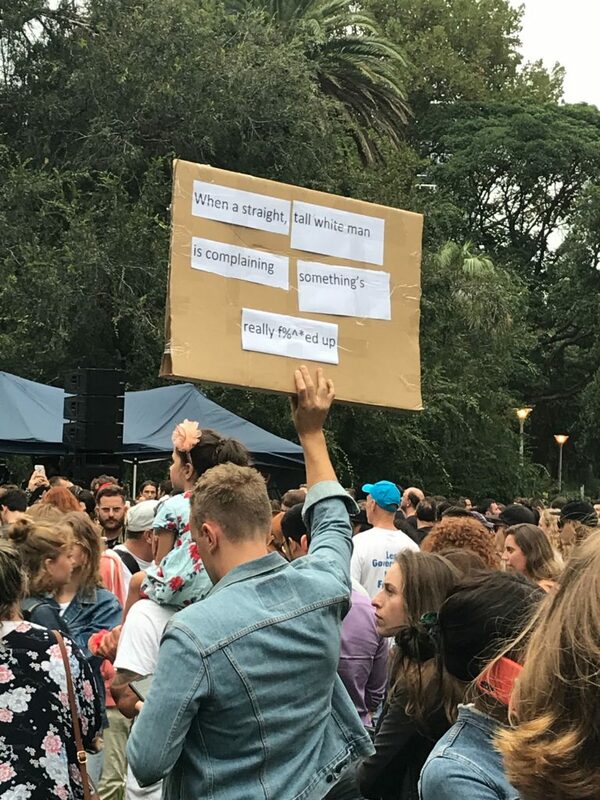 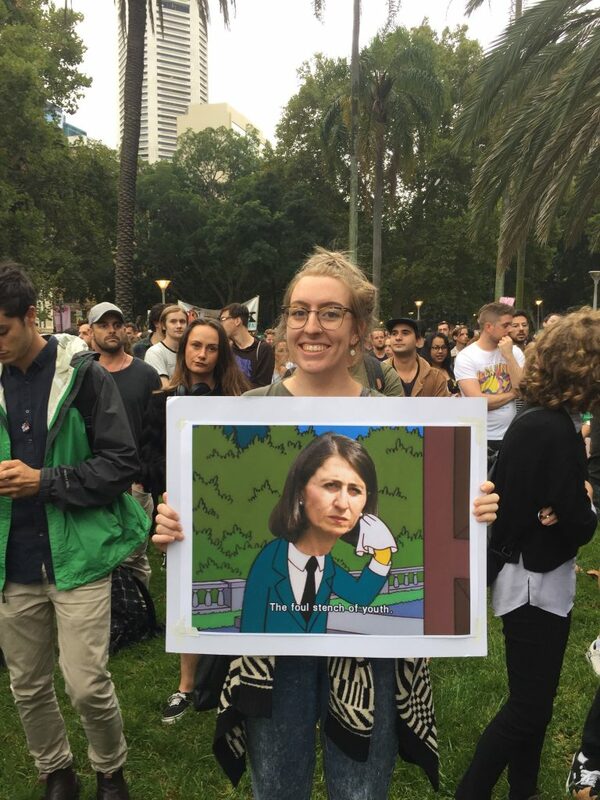 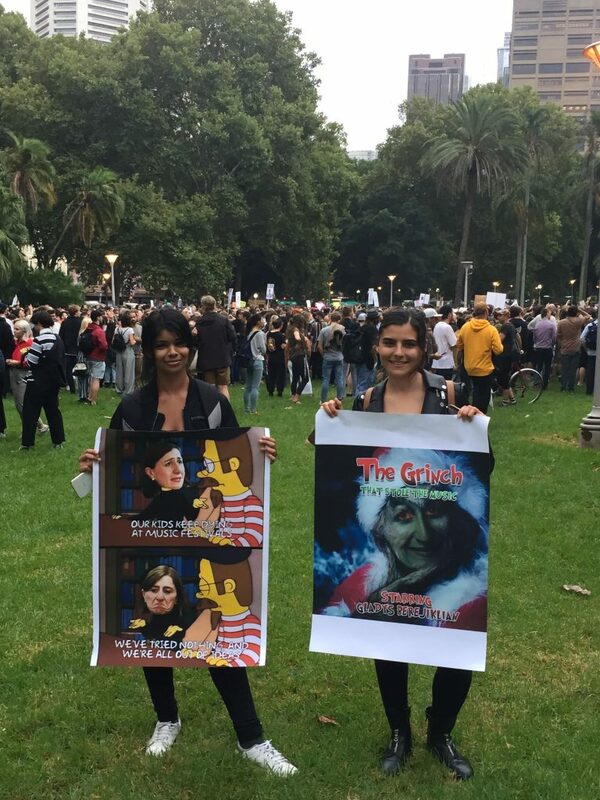 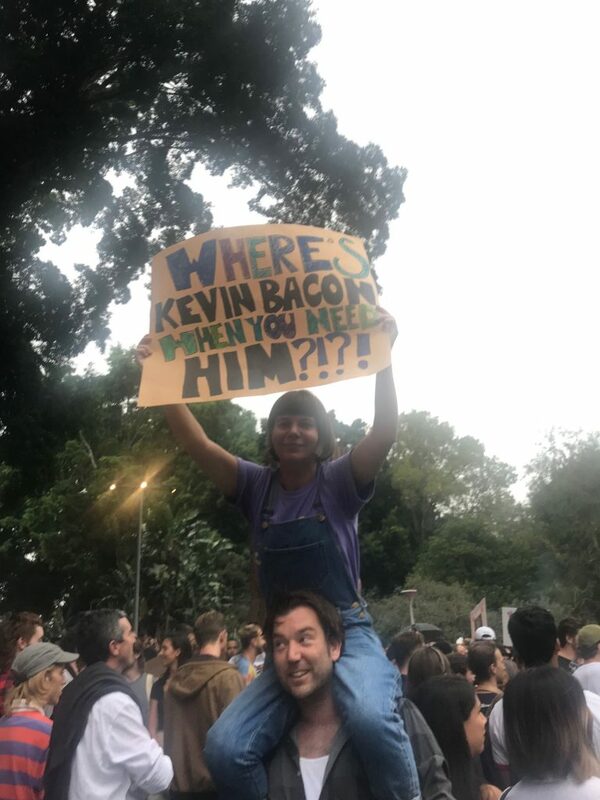 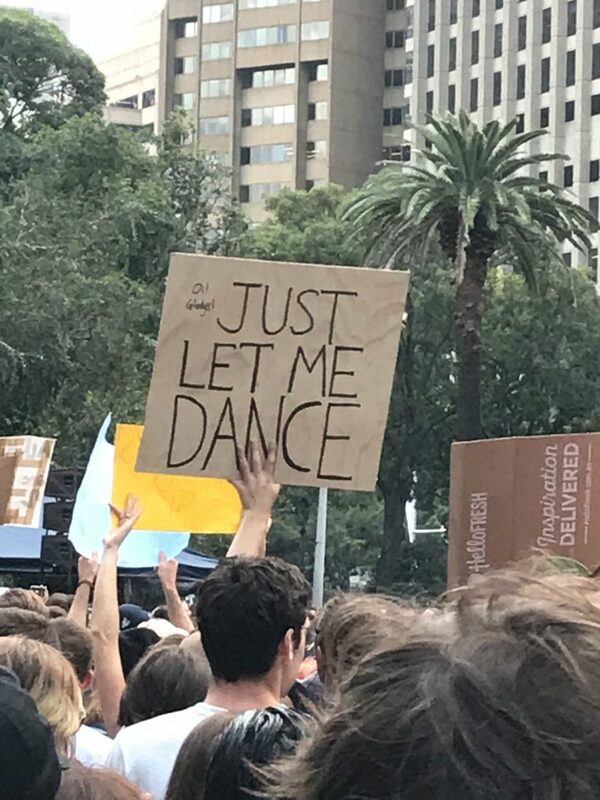 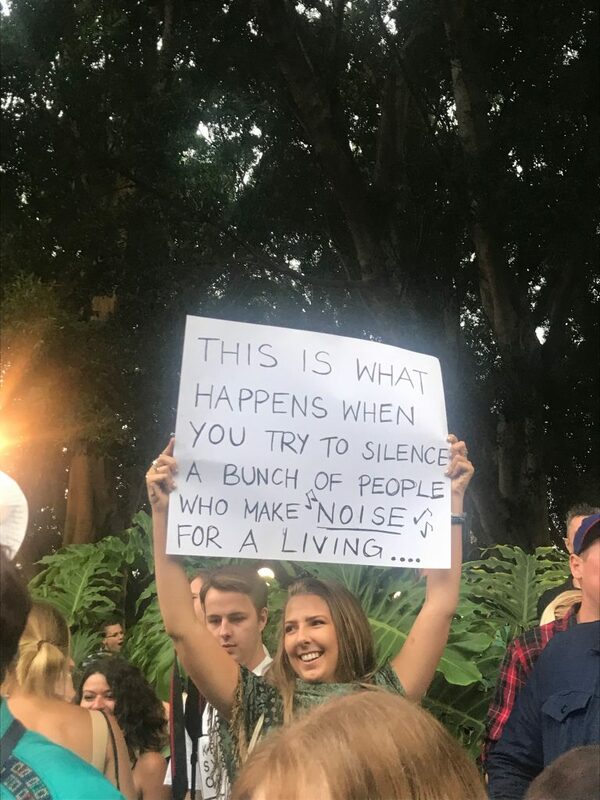 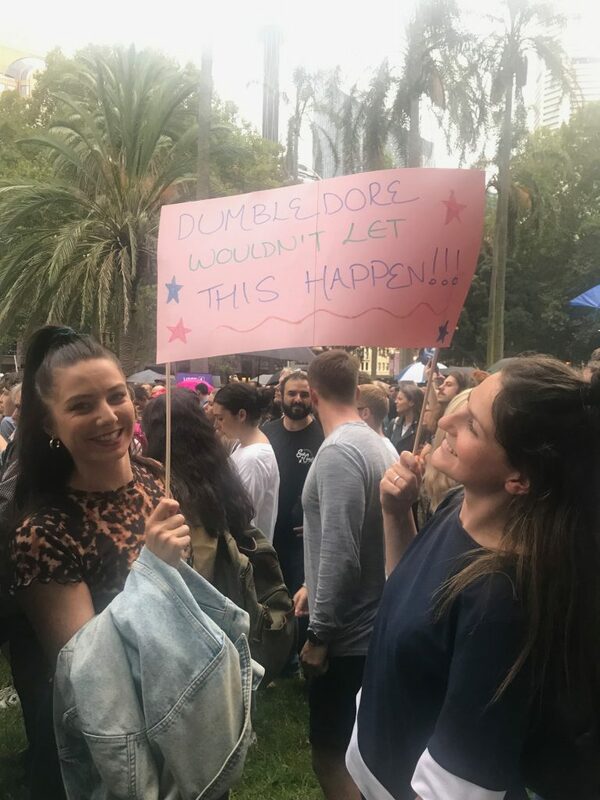 Last night, thousands of music fans gathered in Sydney’s Hyde Park to protest the disastrous new regulations being foisted on the festival industry by the Berejiklian government. 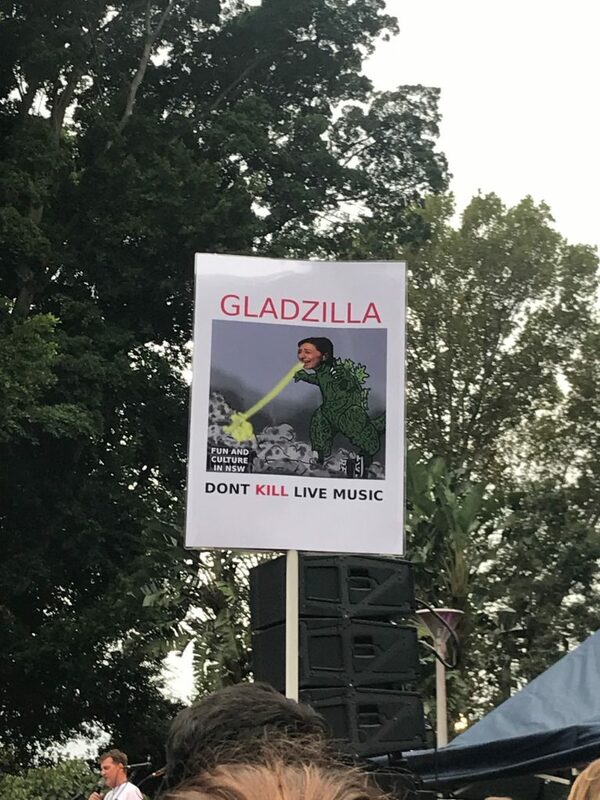 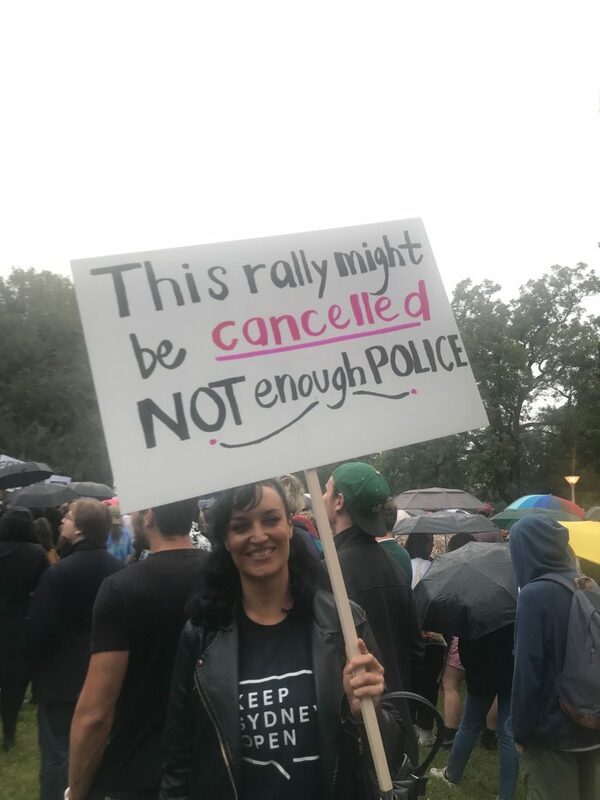 #DontKillLiveMusic came together in the wake of the abrupt cancellation of Mountain Sounds festival three weeks ago; organisers blamed a last minute $200,000 police fee for the cancellation. 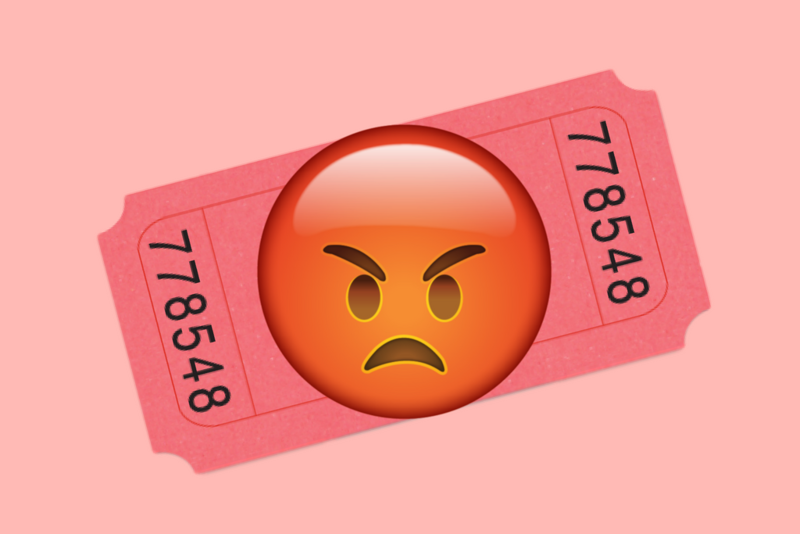 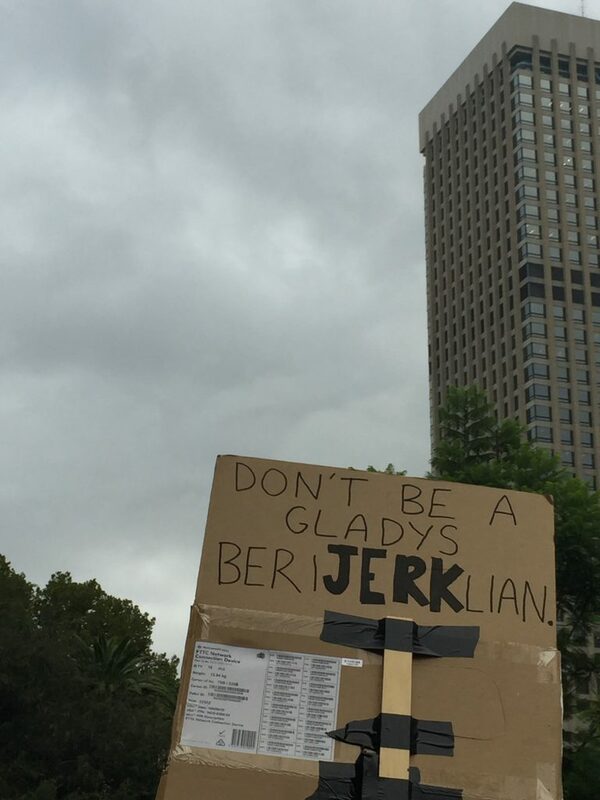 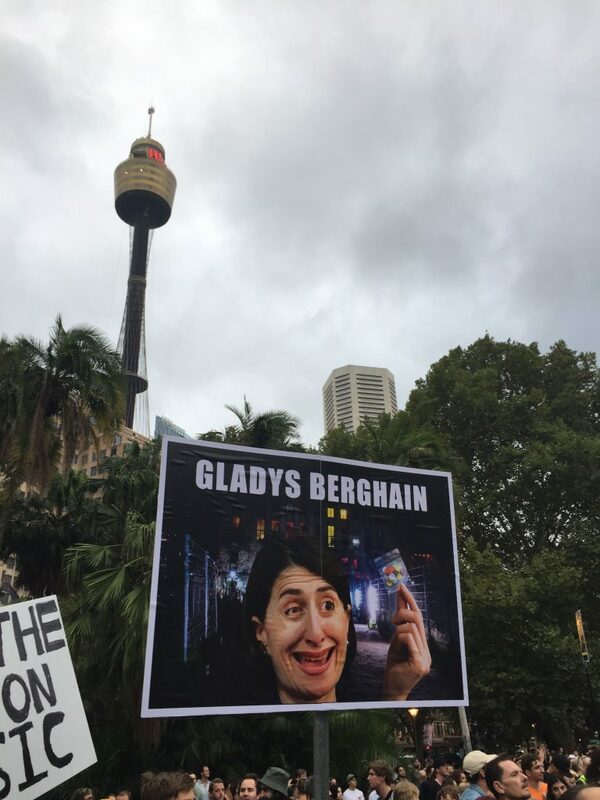 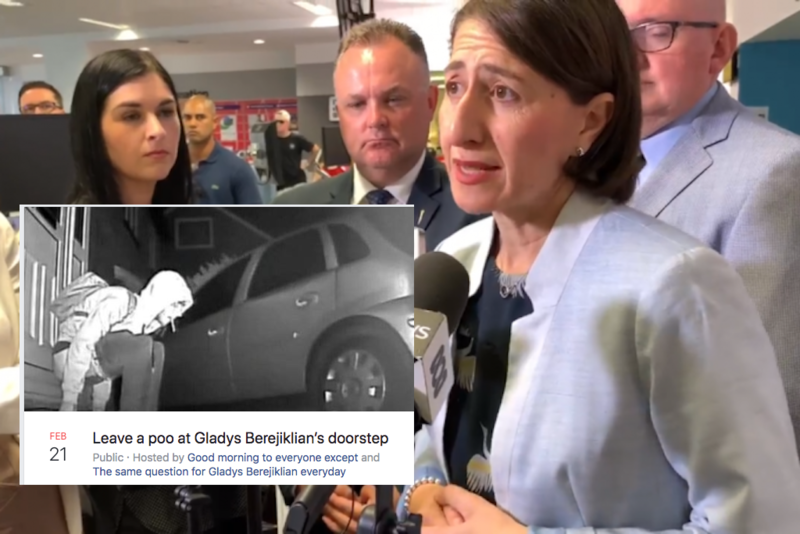 Since then, the Berejiklian government has been slammed from all corners of the music industry, who remain in the dark as to how the new festival regulations will even work (Gladys herself doesn’t even seem to know) a week out from their proposed implementation. 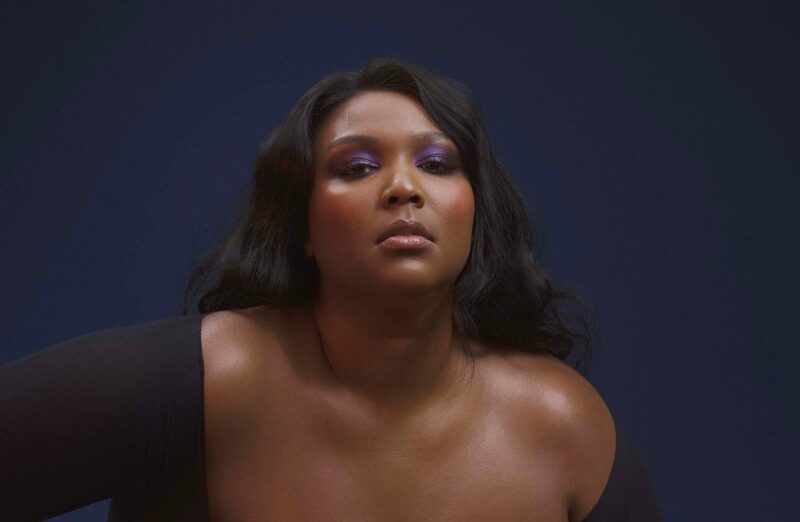 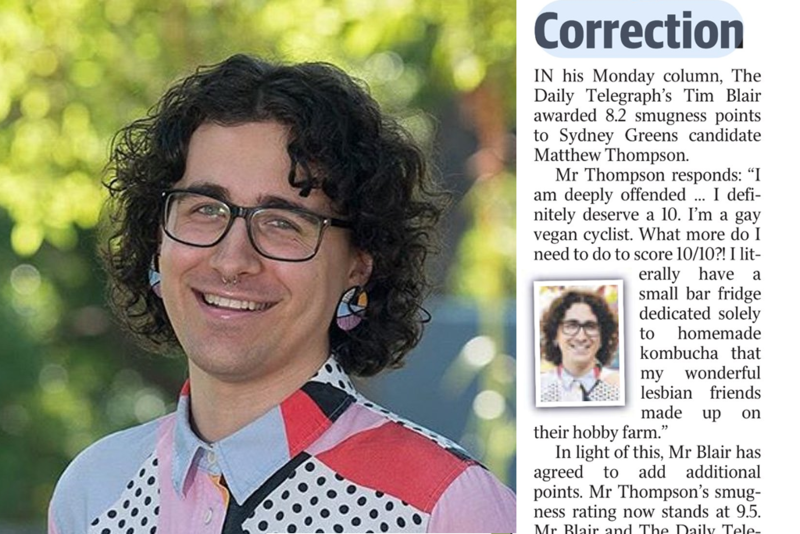 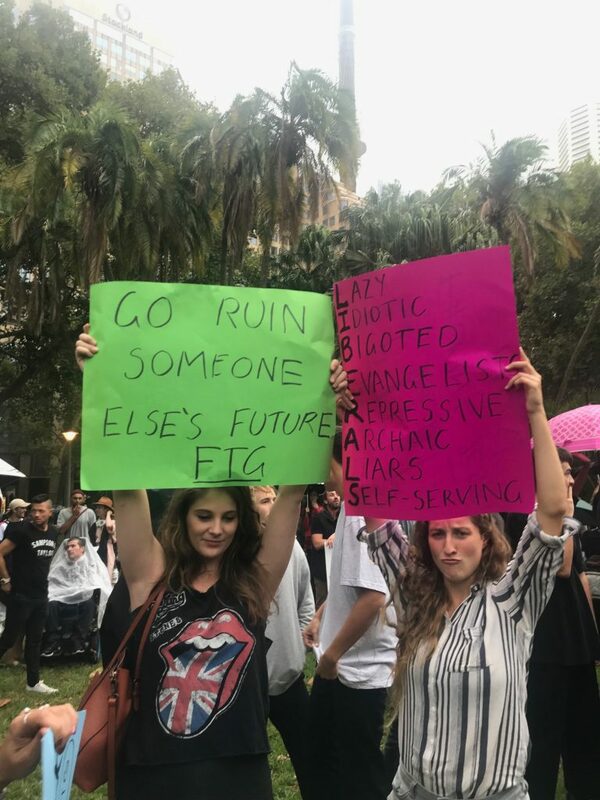 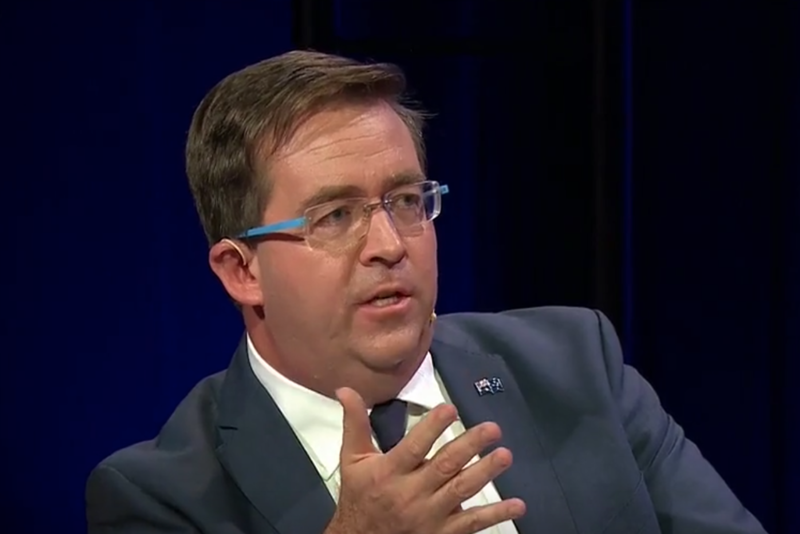 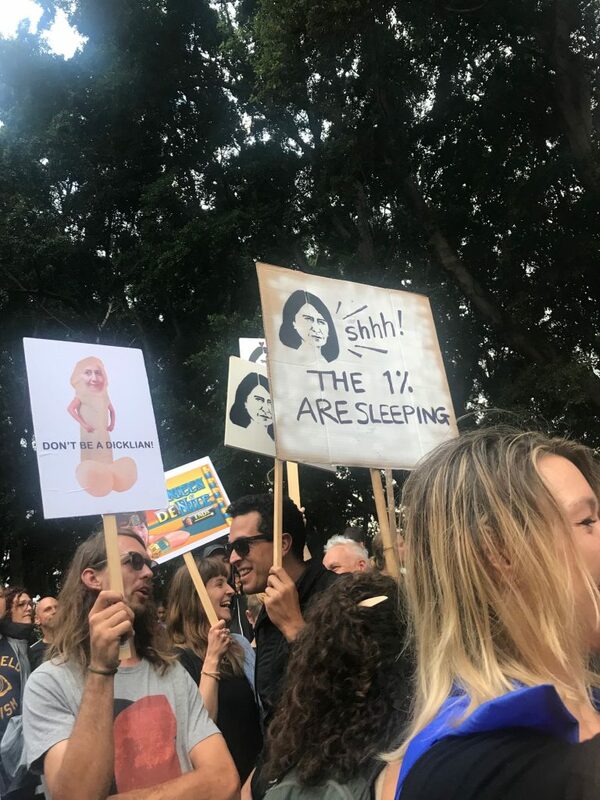 Artists such as Hottest 100 winners Ocean Alley and The Rubens performed at the rally, while industry veterans like Michael Chugg and Adele Robinson delivered scathing speeches directed at the government. 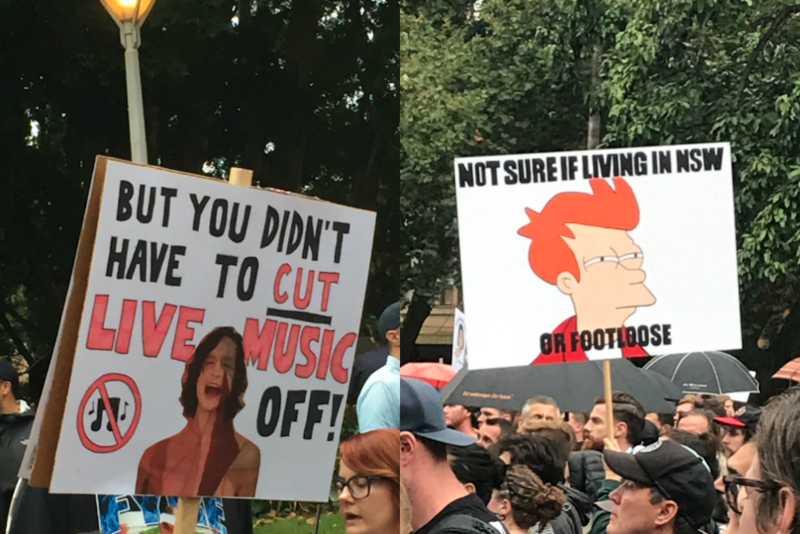 Music fans came out in droves for the rally — speakers estimated the crowd at well over 10,000 — and as always, they brought their best signs with them. 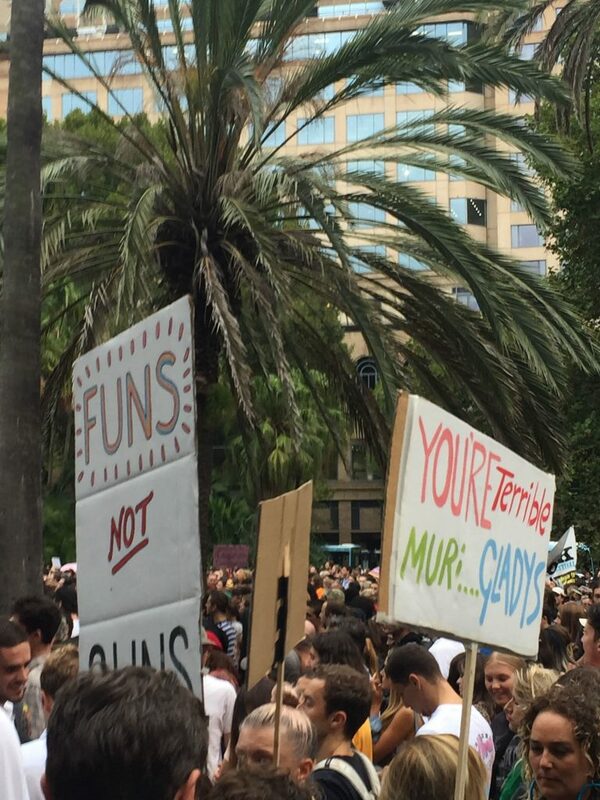 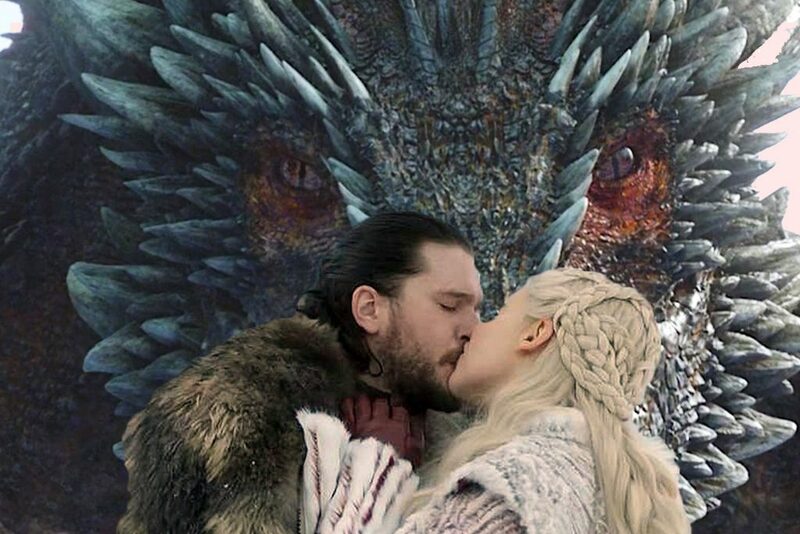 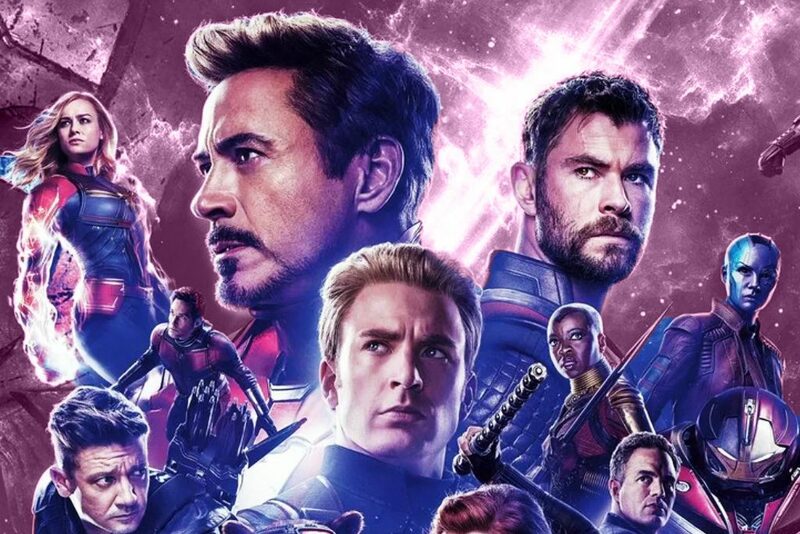 Scroll down to see the best ones we snapped.